Update 2: The beta should now be live on the PS3 in North America. Merry Christmas everyone! 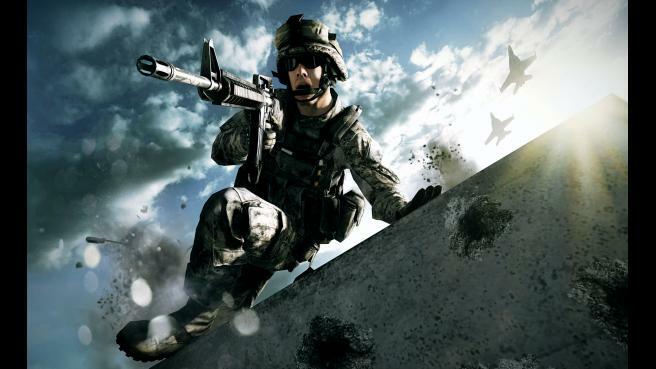 The Battlefield 3 closed beta is now live. If you owned either the Limited Edition or Tier 1 edition of Medal of Honor, or if you pre-ordered BF3 through Origin, make sure to check your emails or the for those early acces beta keys or check your PlayStation Network and follow the instructions included. Emails in the EU should have all been sent by now, for the most part. If you haven’t gotten yours yet, DICE tweeted that you could contact support.ea.com for assistance. You can also follow @askEAsupport on Twitter. DICE has also stated that “In NA, early access emails have been sent for PC & X360.” However, DICE is still “waiting for Sony to post the Beta on PSN; email delivery starts at 11am PSTFor those who are still waiting on the PSN.” By the time you’r reading this article, the PSN should, hopefully, have the beta up and running. While many of you may think that the beta is a little late to the party, remember that DICE is still taking all of our feedback through the Battlelog and will be either implementing changes on day one, or within the first week or two after Battlefield 3’s release date. Keep an eye out for those bugs, glitches, or things that you think should be tweaked, and make sure to report them in the proper thread in the Battlelog forums. Remember, the beta opens up to the rest of the public at on September 29th, just two more days away! Hang in there guys. On a side note, Seeson Mahathavorn, Battlefield 3 Community Manager, tweeted last night, “Whoever steals crash7800’s [Ian Tornay’s] dog tags FIRST tomorrow during the early access BF3 Beta will get a BF3 dog tag!” You can check out Crash7800’s Twitter page for his gaming ID’s. We’re comin’ for ya! Be sure to follow @MPFirst on Twitter for more timely updates on the Battlefield 3 beta and to take part in some epic gaming sessions with fellow MP1st readers and editors! Make sure to stay tuned for MP1st’s first impressions of the Battlefield 3 beta. See you on the Battlefield, and most importantly, remember to PTFO!